Stressgard combats golf courses’ abiotic and biotic stresses immediately and in the long term. 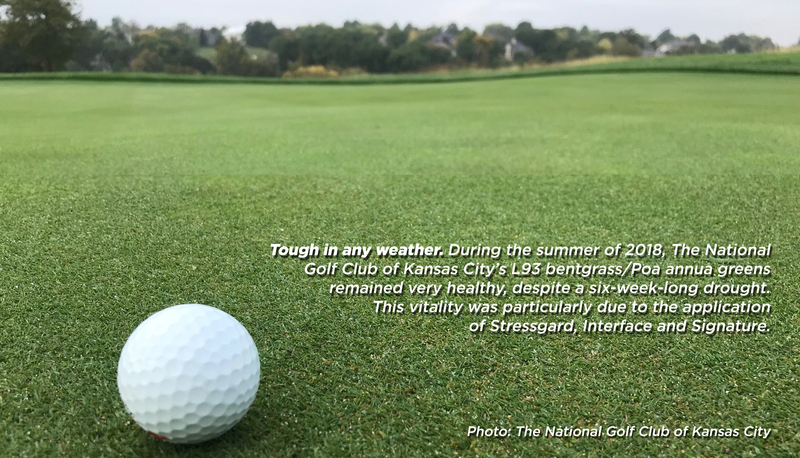 Simply put, there is no counterpart to Stressgard — a proprietary stress-mitigating technology unlike anything else on the market. Stressgard’s unique properties have helped thousands of superintendents across the United States significantly reduce abiotic stress and improve turf health for more than 20 years. But contrary to some superintendents’ beliefs, Stressgard is not an active ingredient. It is a proven technology that is available in a portfolio of fungicides. It can improve the quality of turf — inside and outside — on a short- and long-term basis. As a result, turf can continue to produce food despite tough conditions — leading to a decrease in root loss, enhanced root function and water utilization, delayed wilting and, ultimately, greener turf for a much longer time. Furthermore, because it is formulated with a variety of fungicides, Stressgard can be easily incorporated into superintendents’ current programs without interrupting or delaying them. 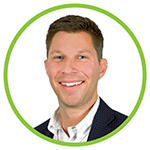 Paul Giordano, Ph.D., Green Solutions Team specialist at Bayer, has conducted on-site trials of Stressgard with superintendents across the country. “The best way to show superintendents the benefits of Stressgard is to bring it to them,” Giordano says. 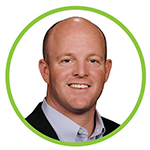 As director of course maintenance at The National Golf Club of Kansas City, which features two private 18-hole courses, The National and The Deuce, Spencer Roberts has seen the positives of Stressgard firsthand. Not only did he use it for several years at facilities in Arkansas and Nebraska, but he also has appreciated the technology’s versatility whenever he and his staff members have applied it at The National Golf Club. This versatility in rotation has led to higher quality turf year-round, as Roberts rotates his fungicides throughout the summer, he says. Typically, he does not use each Stressgard product longer than two weeks at a time. In addition to offering superintendents versatility, Stressgard also delivers consistent results. Each time the technology is used, it rapidly improves turf color and vividness. It contains a proprietary pigment unique to Bayer that provides a positive visual effect once a Stressgard product is applied. A few days after the application, the visual appearance of the pigment dissipates, so superintendents will only notice positive changes due to Stressgard’s ability to improve the turf’s natural functions. These fast-acting benefits are also long-lasting. The plant’s chlorophyll stability and photosynthetic activity are improved considerably, leading to a much higher quality in turf color, density and overall health long term, regardless of weather conditions. STANDARD PHOTO: This photo shows the improvement in turf health and uniformity beyond disease control of a Stressgard program (right side) versus a normal fungicide program (left side). This shot was captured in mid-July during a significant drought period. Applications began in early May. POST-PROCESS PHOTO: This same photo was post-processed to highlight contrast in turf uniformity and quality by examining the hue angle property of the pixels. That data was converted to a scale of pseudo-colors (red, green, yellow, etc.) to highlight the visible distinctions in the original format. A superintendent’s primary goal is to exceed golfer expectations at the course. And nothing satisfies a golfer more than a beautiful, first-rate golf course that is enjoyable and playable every day of the season. 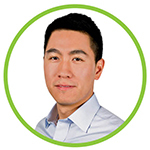 “By using Stressgard, superintendents will deliver satisfaction to their customers — the golfers — over and over again,” Zhang says. Stressgard technology can be found in a wide variety of golf course management products from Bayer. For more information about Stressgard, visit environmentalscience.bayer.us/Stressgard. This page was produced by North Coast Media’s content marketing staff in collaboration with Bayer. NCM Content Marketing connects marketers to audiences and delivers industry trends, business tips and product information. The Golfdom editorial staff did not create this content. Header photo: The National Golf Club of Kansas City.